Daimler just reported its first quarter profit, and, well, things are going great. The company as a whole is up 41 percent compared to a year ago while Mercedes-Benz sales and profits are at record levels. CEO Dieter Zetsche has a goal to get Mercedes to 10 percent profitability in the next few years, and he isn’t that far off now. Mercedes was at a 9.2 percent return versus seven percent just last year. That’s a substantial improvement. They sold 459,708 cars this quarter, and 18 percent increase from last year. The increase is thanks to Merc’s growth strategy which includes a diverse selection of lower priced cars, a new version of the C-Class, and the new Smart car, which is considered part of Mercedes. BMW and Audi should release results this week too. Mercedes is looking to overtake both of them to be at the top of the luxury car market, let’s see how far they’ve come. The death toll from the GM ignition switch recall has jumped to 90, three more than were approved last week. That number just keeps on creeping higher and higher. The fund has received a total of 4,342 injury and death claims with 997 left to review. A third of them have been deemed ineligible for any compensation because the claimants didn’t give enough proof that the ignition switch was the cause of the death or injury. Claims approved for life changing injuries remained at 11 and those approved forcompensation for injuries jumped four to 152. Nissan was recently saying that China needs to extend incentives of electric cars in China in order to spur sales and make them want to develop more for the market. Maybe the issue is really that nobody in China wants the Leaf, because Tesla registrations jumped 25 percent last month. Tesla sold 326 cars in March, up from 260 in February. Granted, that isn’t a barn burning number, but it is a substantial improvement. Elon Musk has said that the goal for Tesla is to sell 55,000 cars this year and they can do it if they sell no cars at all in China. That obviously won’t be the case. According to AAA, the cost to own a car for a year has fallen to $8,698. The drop is mostly due to lower gas prices and excellent finance programs, since depreciation, insurance, maintenance, registration, and tire prices have all gone up. AAA also sent along the handy infographic above. Interesting. Harvey R. Miller, one of the attorney’s that helped guide GM through it’s tricky bankruptcy, has passed away after a battle with ALS. Considered one of the country’s premier bankruptcy attorneys, Miller got GM out of bankruptcy in 40 days thanks to help from the government bailout. 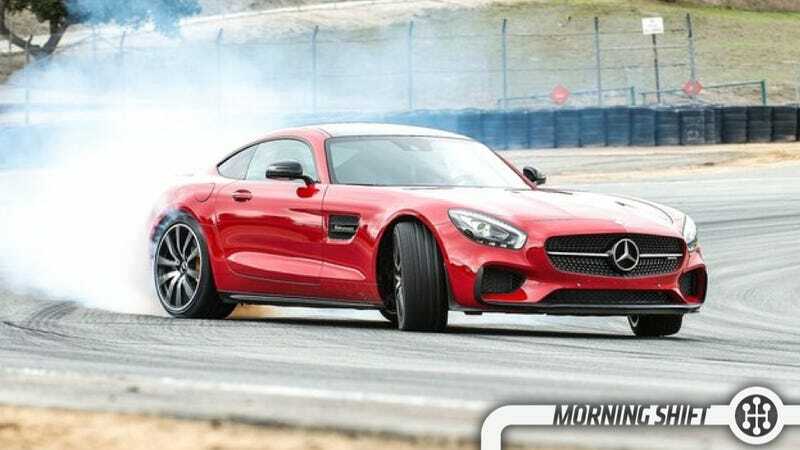 Can Mercedes Overtake BMW and Audi?